We accept Cash, Money Orders, Visa, MasterCard, American Express and Discover. No checks are accepted. Payment is due before shipment or pickup. If you experience errors or problems on an order, please call us within 5 working days of receipt of your order. On returns due to our error we will pay regular FedEx shipping to return goods and ship replacements. If your order is damaged, please contact the local freight office for a damage inspection. All returns must have an authorization number, which must be placed on the outside of the box. A return authorization number can be obtained by calling us at 1-877-754-6253. A 25% restocking fee will be charged for returned merchandise. ONLY product exchange will be accepted beyond one month of original purchase date. No returns or exchanges after 90 days. Returned items must be received by us unopened and in resalable condition. Each product must be placed "box in a box" (place product in a box and then the box placed in a box for safe shipping). We have one person pull every order and another check every order before it ships. Since we have a lot of products with similar names as well as scented or unscented varieties, we know that by having both our staff and our accounts look at and follow the order form when placing orders, our valued accounts can be assured that they will get the exact product that they want. We will repeat your order back to you using this same form. Thank you! Most orders placed before 12pm CST, Monday-Friday, will ship out the same business day. Most orders placed after 12pm CST will ship out the next business day. 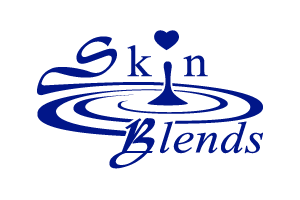 Skin Blends currently uses FedEx and USPS Flat Rate Boxes for shipping. Orders taken over the phone will be charged for the same amount that Skin Blends is billed for shipping. Staff always strives to work with customers to find the least expensive way to ship your products. Home deliveries via FedEx are required to have a signature upon delivery due to previous instances of theft. Please keep in mind that it is always less expensive to ship to a commercial (business) address. Free Shipping is available for all orders over $199. FREE SHIPPING IS DISCONTINUED DURING ALL SITE-WIDE SALES PROMOTIONS IN ORDER TO GIVE YOU BETTER DISCOUNTS. FREE SHIPPING IS VALID ON ORDERS OVER $199 IN THE CONTINENTAL UNITED STATES ONLY. Missouri residents - a completed Resellers's permit must be provided or tax will be charged. Although we make every effort to ship your order complete, occasionally we are forced to backorder certain items. We do not charge for backordered items until they are actually shipped out. When the backordered item comes in and before shipping, we will call and confirm with you that the item is still desired. You do not need to re-order. If the original order was over $1000, the backordered item will be shipped out with no additional shipping charges. If the original order was less than $1000, the backordered item will be shipped out with standard shipping charges as GROUND charges us by weight.